Can this year’s Rays avoid last year’s slip? This is the point where a little team can get lost. 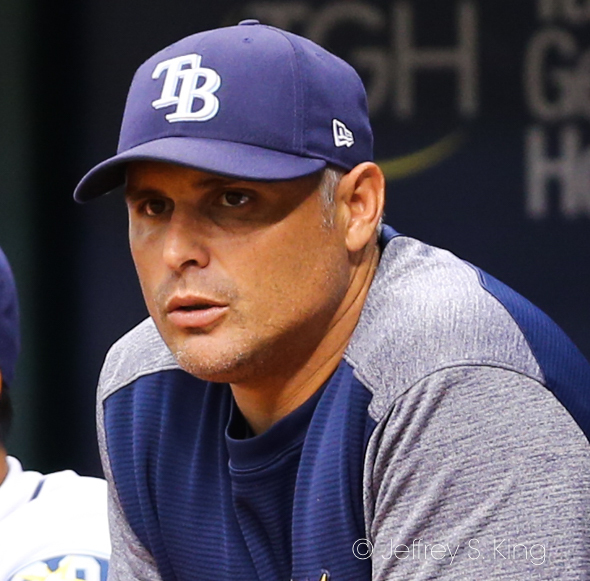 Can the Tampa Bay Rays keep it from happening again? This time a year ago, the Rays were 57-55, a spunky team that had surprised a few people. This time this year, the Rays are 56-56, a spunky little team that has surpised a few people. Last year, this was just about when the team stepped through the trap door. A year ago, it was in their 113th game when the Rays ran into trouble. They lost six of their next seven games, and 10 of their next 12. They finished the year two games below .500. Well, you'd like to think the Rays were better. But after trading away Chris Archer, Wilson Ramos, Adeiny Hechavarria and Nathan Eovaldi, and after Daniel Robertson was hurt, who knows? Last year's team was on a two-game losing streak at this point. This year's team is on a three-game losing streak. One similarity? Last year's Rays were 21-24 in one-run games. (For the entire season).This year, the Rays are already 20-26. The difference? Last year's team was older, more prone to hit home runs and more prone to strike out (and more expensive). This year's team has more rookies, and of course the mix-and-match pitching. This year's team entered with lower expectations. So can the Rays avoid a slip in the latter stages of the season? Another big difference is last year the Rays added pieces at the trade deadline. This year they subtracted. Some of the players the Rays got back in trades are already at the major league level but one of them is on the DL. This year the team is all about playing the young guys and finding out who can perform. Whatever wins they get along the way is a bonus but not the main focus. In other words it’s a rebuilding year. The focus is on youth, not wins. I agree. But isn’t it sad that’s barely August, and the team is already about next year? Next post: Do you still remember Bucs’ Super Bowl win?